139) Bike series (8/10). As you can see from my pose, I’m very excited to discover that this box exists! 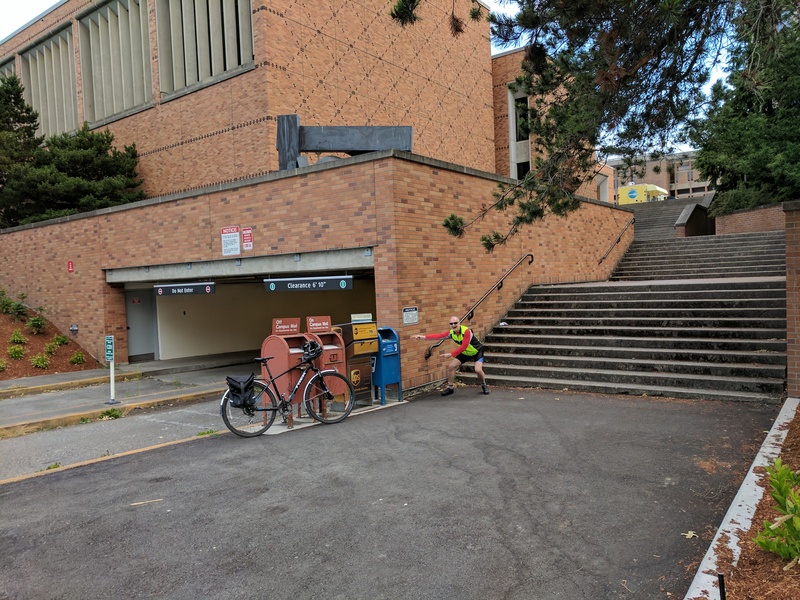 My data told me that there was a box on Grant Lane on the UW campus, but I wasn’t able to verify its existence by spotting it on Google Streetview. This led me to fear that it wasn’t a real box, but rather just a mailslot inside one of the buildings… but then I rounded the corner and came upon this beautiful vision in blue!